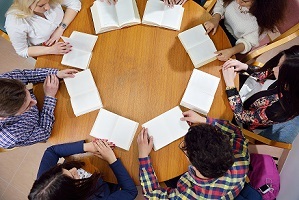 ​Does your organization utilize small groups? Perhaps you have small groups, book clubs, moms groups, get-togethers, cell groups, bible studies, break off sessions, dinner clubs/parties, or in-home groups where children and youth attend but are often unsupervised or not properly supervised. Are the children and youth playing in another room or downstairs safe? Does Plan to Protect® apply and how can we make it work for small groups? Let’s Plan to Protect® small groups! This webinar is designed for parents/caregivers, administrators and leaders, and small group leaders and coordinators. We will address small group safety for children and youth. Victoria Bissell, OCT. Director of Training at Plan to Protect®, will provide an overview of the risks associated with small groups and ways that we can prevent abuse. Victoria will also provide tips and strategies for making Plan to Protect® work in these small group settings. Let’s raise the bar on protection!